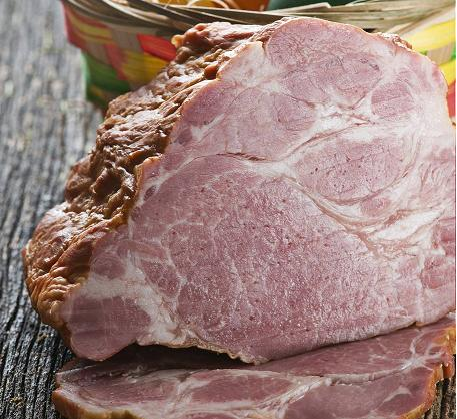 Nothing says Easter dinner like a wonderful home-cooked ham, so here’s a recipe for a Brown Sugar Pineapple Glaze courtesy of the food experts at Ronco that offers a nicely complexity of flavors. Enjoy and Happy Easter! In a small saucepan stir together the crushed pineapple, brown sugar and dry mustard. Bring to a simmer and cook for 3 minutes. Set aside to cool. Insert the spit rods evenly through the ham and brush with some of the pineapple mixture. After 45 minutes of rotating, brush with pineapple mixture again. Rotate an additional 10 or 15 minutes, or until the ham reaches an internal temperature of 140 degrees. Serve sliced ham with some of the pineapple mixture on top. Love the recipes you post. Keep 'em coming!